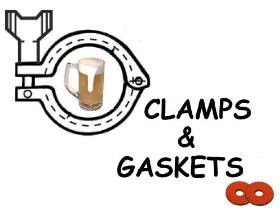 Clamps & Gaskets: News Roundup for Weeks 16/17, 2014. How does the Brewers Association select brewery participants for its SAVOR beer-and-food festival? By a lottery system and sponsor/supporter contributions. 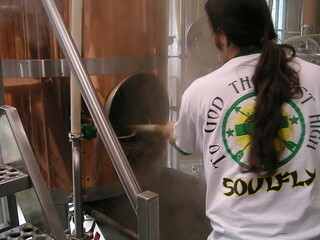 Via DC Beer. The history of the first American 'craft' beer India Pale Ale (IPA), Anchor Liberty Ale, and why many 'craft' beer drinkers no longer consider it an IPA. Via Bob Brewer of Anchor Brewing: "Beer styles are so nuanced that I think the people who write them also write horoscopes." The U.S. Food and Drug Administration (FDA) backed off its proposed stringent regulations that would have made it too expensive for small breweries to recycle spent grain by providing it to dairy farmers. Via AP. The Vienna Lager of the Devils Backbone Brewing Company (of Roseland, Virginia) wins the best beer of Washington Post Beer Madness, conducted as a bracket-style panel vote of breweries in Washington, D.C., Maryland, Virginia, Delaware, and Pennsylvania. Albert Pujols of the San Diego Padres became the 26th player in Major League Baseball history to hit 500 home-runs, the third-youngest player to hit 500, and the first to ever hit his 499th and 500th in one game. He did so against the Washington Nationals in Washington, D.C., against pitcher Tyler Jordan. In 2006, he hit his 400th home run against the same team in the same ballpark. Via ABC. Earth Day, celebrated on Tuesday, 22 April 2014, was first observed on that date in 1970. 36,000 runners ran in the Boston Marathon, today, one year since the attack upon it. It was won by Meb Keflezighi, the first American to win since 1983, with an official time of 2:08:37. Via CNN. Boxer Rubin ‘Hurricane’ Carter died at 76. A boxer, falsely convicted of murder. Campaigned against racial injustice. Via Washington Post. 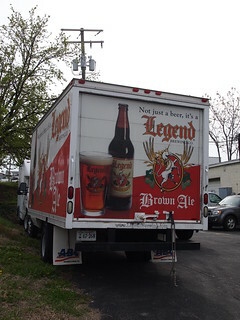 Legend Brewing Company is Virginia's oldest operating 'craft' brewing company. It celebrated its 20th anniversary on 19 April 2014. Via YFGF. Beverage Industry Magazine releases its 2014 "State of American Beer Report." "Gabriel García Márquez, the Nobel Prize-winning Colombian writer who immersed the world in the powerful currents of magic realism, creating a literary style that blended reality, myth, love and loss in a series of emotionally rich novels that made him one of the most revered and influential writers of the 20th century, died April 17 at his home in Mexico City. He was 87." Via Washington Post. The first total lunar eclipse of 2014 occured the evening of 14 April and early morning of 15 April. The Earth moved between the moon and the sun, casting a shadow across the surface of the moon. When the moon was completely blocked from the sun, it appeared a certain hue of red, which is the projection of all the sunsets on the Earth onto the face of the moon. Thus the moniker, "blood moon." The next lunar eclipse occurs 8 October 2014. Via Christian Science Monitor. A woman was arrested for drinking a beer while breastfeeding her infant in an Arkansas restaurant. Via Houston Press. 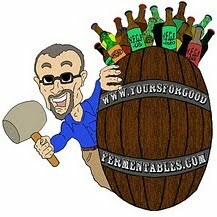 Clamps and Gaskets is a bi-weekly wrap-up of stories not posted at Yours For Good Fermentables.com. Most deal with beer (or wine, or whisky); some do not. But all are brief, and many are re-posts from twitter.com/cizauskas. #VeggieDag Thursday. Quick links for May 2014. The first American 'Memorial Day'? Pic(k) of the week: Talk, Eat, Drink, Muse. 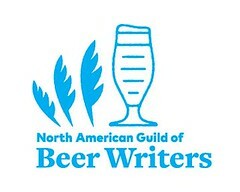 Irony during "American Craft Beer Week"®.